Tom Swizek is the President of SERVPRO of West St. Joseph county and South Bend, NE. Tom has been in the restoration business for over a decade. When he isn't wearing his "fearless leader hat" at SERVPRO, he can be found spending time with his wife and 3 amazing children. 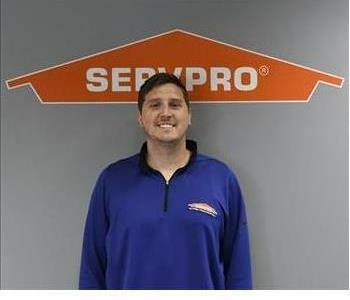 Josh Hoetger is the Estimator for SERVPRO of W. St. Joseph County. He is IICRC and fire restoration certified. When Josh isn't at SERVPRO, he can be found either playing soccer with friends or spending time with his family. Amber Strange is the Job File Coordinator at SERVPRO of W. St. Joseph County. Each day she is responsible for handling the scheduling of crew members, the internal paperwork, and for coordination between customers and SERVPRO. She is the mother of 3 children and in her free time loves nothing more than being a mom! Khamron Diggins is a Production Crew Chief at SERVPRO of W. St. Joseph County. He has several years of experience and has the following certifications from the Institute of Inspection Cleaning and Restoration Certification (IICRC): Water Removal Technician, Applied Structural Drying Technician and Fire Damage Restoration. Khamron prides himself on his work ethic and strives for 100% customer satisfaction. Khamron works hard to "make it like it never even happened". During his free time Khamron can be found spending time with his family. Khalin Diggins is a Production Crew Chief at SERVPRO of W. St. Joseph County. He has several years of experience and has the following certifications from the Institute of Inspection Cleaning and Restoration Certification (IICRC): Water Removal Technician, Applied Structural Drying Technician and Fire Damage Restoration. Khalin prides himself on his work ethic and strives for 100% customer satisfaction. During his free time Khalin is an instrumental part of his band, who are currently playing in venues across the region. Jacky Kepler is Production Tech with SERVPRO of W. St. Joseph County. She specializes in content cleaning and pack outs, and has been with SERVPRO for over a year. When not at work, Jacky can be found spending time with her son (who is also a SERVPRO restoration specialist), her daughter and her granddaughter. Howard Maddox is the crew representative for all cleanings performed by SERVPRO of W. St. Joseph County, which includes carpet cleaning, hard surface cleaning and air duct cleaning. When Howard is not at work, he enjoys spending time with his children and his wife. Sam Diggins is a Production Tech at SERVPRO of W. St. Joseph County. 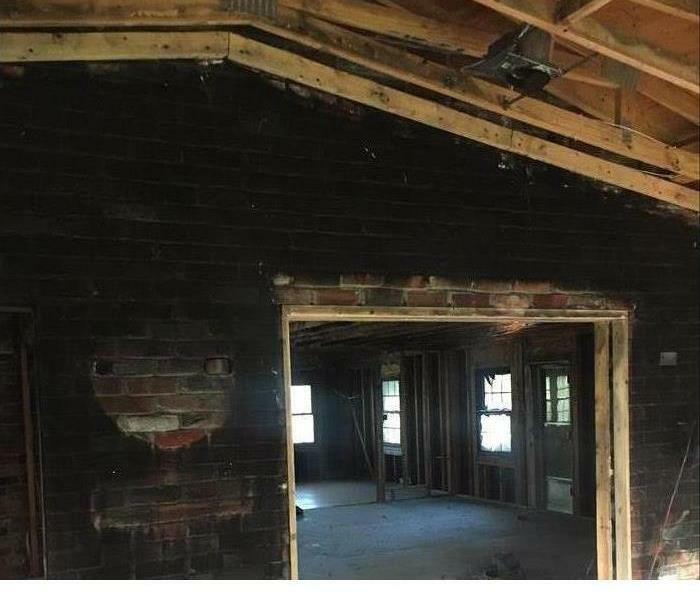 Sam specializes in the mitigation of water damaged properties. Sam is the brother to 2 of SERVPRO's production crew chiefs. When not working, Sam can her found spending time with his family and friends. Erica is the file coordinator at SERVPRO and has been with us for 1 year. She is responsible for managing the communication with our clients and helping them through each step of the process. Kayla is the administrative assistant for SERVPRO and has been with us for 5 months. She is responsible for being one of the first to talk with each of our clients and for assisting everyone else in offering amazing service to each and every person that we help.